WASHINGTON — A plan to significantly increase the number of Amtrak trains between Washington and Richmond, add to Virginia Railway Express commuter rail service, and allow for more freight traffic along the Interstate 95 corridor is moving forward with new recommendations solidified this week from the Virginia Department of Rail and Public Transportation. 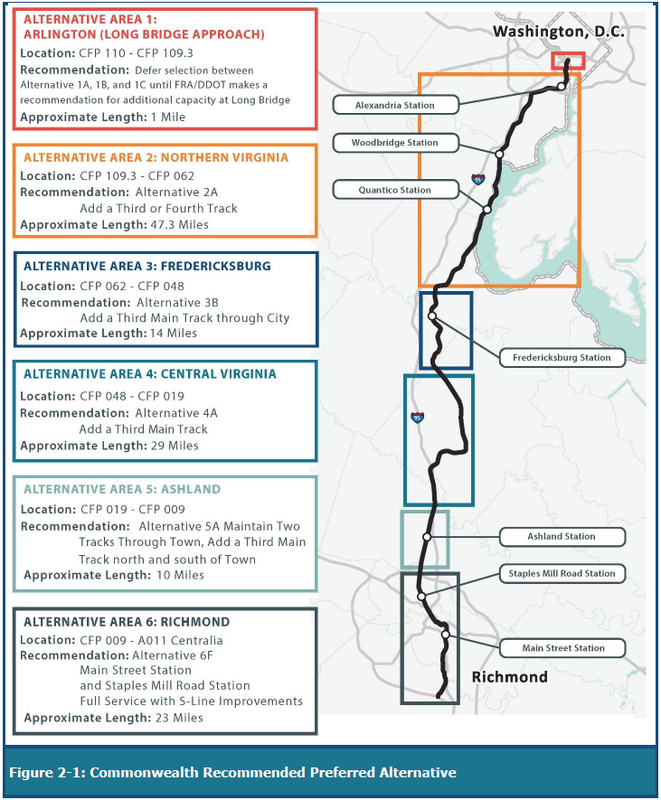 The recommendations being presented Tuesday to a Commonwealth Transportation Board subcommittee include pieces approved in December and additional comments asking the Federal Railroad Administration to support building an additional track from Arlington to Ashland in the hopes of providing a better, more frequent and more reliable alternative to sitting in Interstate 95 traffic. Two new tracks would be built between Arlington and the District after separate plans for an expanded Long Bridge are completed in coming years. The District Department of Transportation and Federal Railroad Administration expect to identify a recommended design and layout for the long-awaited project later this year for additional public comment. A final environmental impact statement for the Long Bridge is expected by the end of June 2020. The bridge is key to any improvements in rail service because like the roads, the nearly 50 miles from the Potomac River to Fredericksburg is the most congested part of the corridor. After significant public pressure, the Department of Rail and Public Transportation now recommends no new construction in Ashland, where trains would merge from three tracks to the current two for about two miles through the town. Previous recommendations had put off any decision on construction through or around the town. 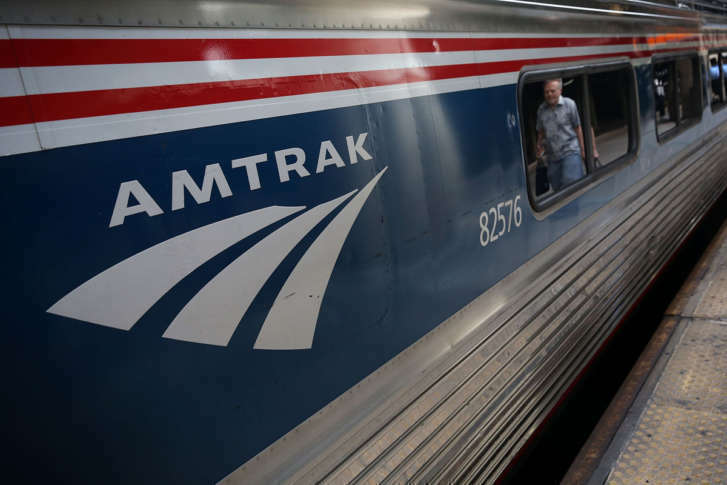 Additional tracks would be built south of Ashland to Richmond, where both Staples Mill Station and the downtown Main Street Station would have full service from the nine new Amtrak trains planned in each direction between D.C. and Richmond. The trains would reach top speeds of 90 mph for the longest stretches between Spotsylvania and Doswell and possibly in some additional areas in Northern Virginia. The plan would be built in phases as funding is available. Some of the construction on certain segments or related projects has already begun. In Northern Virginia, design is 30 percent complete on a $220 million third track between Franconia and Occoquan. The early design for Virginia’s $225 million fourth track that will connect to the new Long Bridge is due to be complete by the end of the year. In the Richmond area, new bypass tracks around a CSX freight yard are due to open in January. Newly expanded parking at the busiest station in the state, Staples Mill, is due to open this summer. DC2RVA project map, courtesy Virginia Department of Rail and Public Transportation.